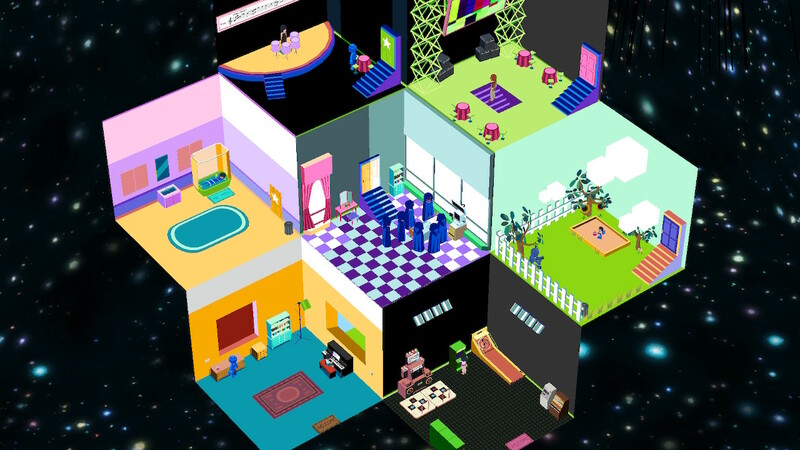 Upon first laying your eyes upon Ackk Studios’ 1990s-inspired RPG YIIK: A Postmodern RPG, it’s immediately obvious that the game is inspired by Earthbound. From the peaceful suburban town, to the surrealist, acid trip of the game’s battles and enemies, there are plenty of references to the classic SNES game. Hell, some of the mysterious creatures you encounter throughout the game even look like the Starman enemies you’d encounter in Earthbound. 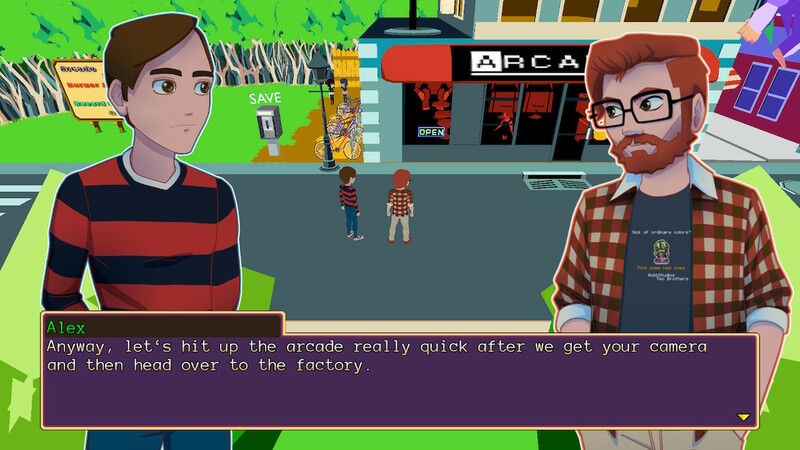 Despite being inspired by Earthbound and other RPG’s of the era it’s established itself in, YIIK fails to reach the heights of the games it so desperately strives to emulate. 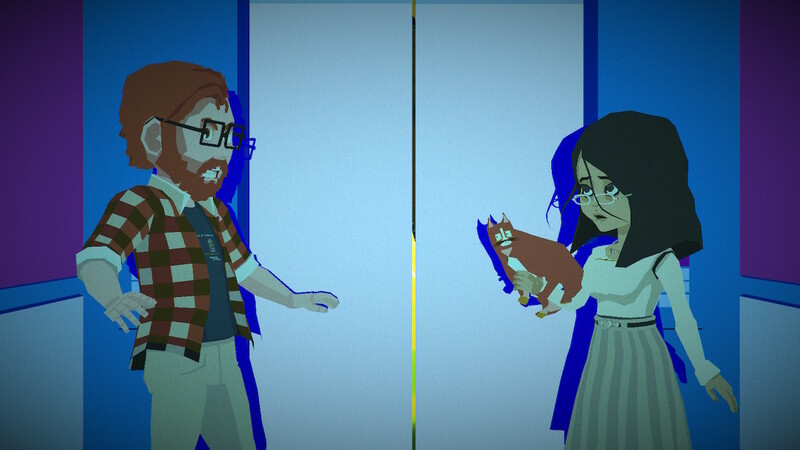 Although it may not be perfect, YIIK still manages to put forth a strange and otherworldly adventure packed with mystery and unbridled intrigue that is still worth exploring despite some questionable gameplay decisions, poor pacing, and frustrating crashes. The story of YIIK centres around Alex, a liberal arts graduate who has just returned to his hometown of Frankton after years away at college. Upon return, Alex finds himself exploring his childhood town, ending up at an abandoned steel mill where he meets its mysterious female habitant Sammy Pak. Everything seems relatively calm until all of a sudden Sammy is abducted by otherworldly cosmic beings, setting Alex off on a journey to figure out what he has just seen. Alex’s quest to track down Sammy leads him to exploring the forums of a site called ONISM 1999, a message board that centres around the belief of alternate realities. Footage of Sammy’s disappearance somehow made its way to the ONISM 1999, and through the forum Alex finds himself some friends who are also interested in the supernatural, and they make their way between neighbouring towns and even alternate realities, in the hopes of figuring out just what happened to Sammy Pak. YIIK’s story is extremely arresting and thought provoking, in part due to the interesting characters that complement the narrative. Alex for example, begins the narrative as a bit of a scumbag, coming across as a college grad who is far too up himself. As the narrative progresses however, Alex begins to realise that he is often too quick to snap at people, and makes a concerted effort to try and become a better person, which is an actual plot point that occurs within the narrative. Alex’s characterisation to come across as a bit of a prick was 100% intentional, and I feel like the writing did a great job at trying to redeem his character. Alex’s friends are also brilliant, however they get far less dialogue and are therefore nowhere near as fleshed out. What I did like however, was the way in which characters fought in battle was indicative of how they were characterised. For example, Alex is a big fan of music, so he attacks with records, whereas Rory in the plot is noted to be a pacifist, so he doesn’t fight in battle at all, instead opting to defend others. The narrative and world of YIIK is confusing yet undeniably intriguing, but it’s the intrigue alongside the charming characters that saw me through to the experience. 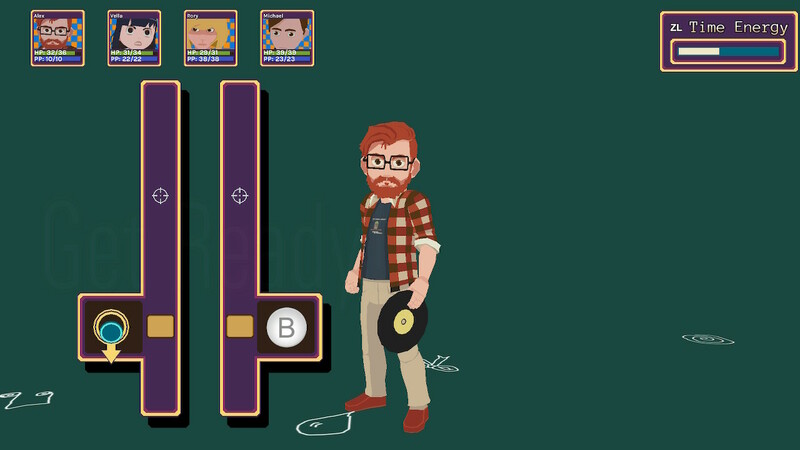 When it comes to gameplay, YIIK is a turn-based RPG in which combat is completed by playing little mini-games that determine how much damage you are going to do. 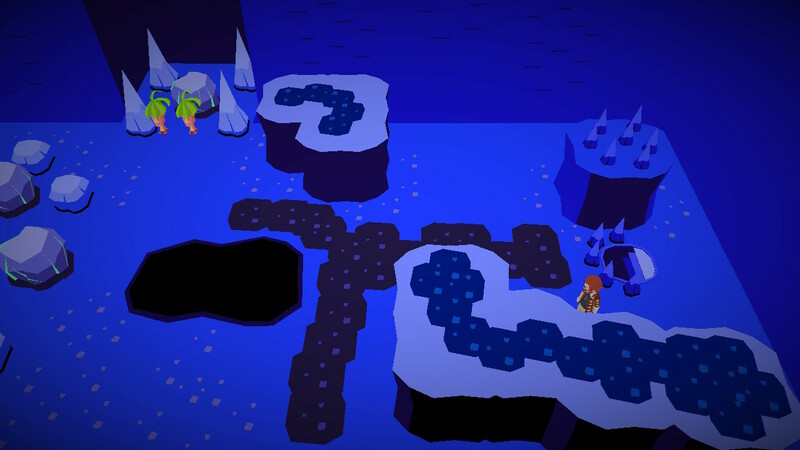 These mini-games often require timed button presses for characters attacks to do damage, with poorly performed actions leading to a weaker damage output. This system is rather enjoyable, leading to you always feeling involved in battles in a genre that is often touted for being a little boring with its combat. The action combat extends to defending yourself from enemies, with timed button presses allowing you to minimise and sometimes completely nullify the damage of enemy attacks. Battles can also be sped up allowing you to get through them a bit faster, however they still take a fair while to complete. What you see is what you get with YIIK’s combat however, as there is no real variety in regard to attacks, which is quite disappointing. YIIK’s combat is fun but not perfect, something I’ll delve into in further detail later on in this review. When not in battle, you make your way through various locales as Alex, solving puzzles and exploring areas in order to progress the narrative. In order to keep the overworld segments from getting too boring, Ackk Studios have garnished the world with hidden chests to track down. Sometimes they may simply just be off the beaten path, whilst sometimes they require you to use your special abilities, whether it be using Sammy’s cat Dali to reach otherwise unattainable chests, or utilising your amp to destroy rocks that block your path. Most of the time the result only yields a small amount of cash or a couple of consumable items, but they make for great chasers in between battles. YIIK’s gameplay is enjoyable, albeit overly simplistic and it eventually begins to get stale as the game goes on. 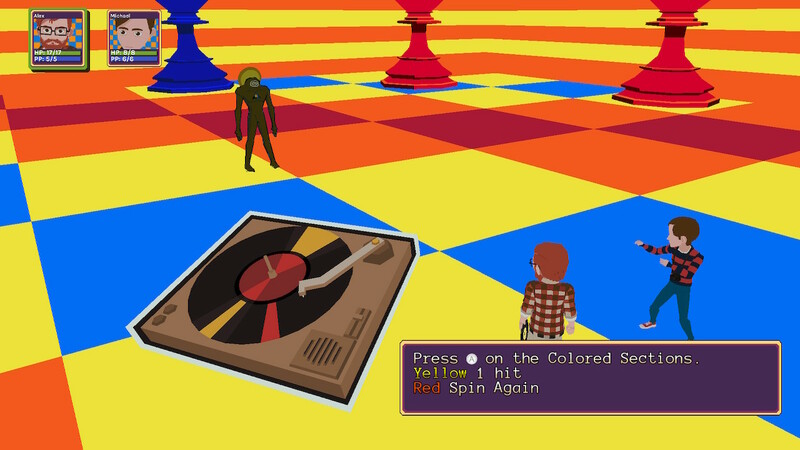 Whilst I had fun throughout my playthrough of YIIK, I couldn’t help but take note of a few glaring issues. Although I praise the wackiness of the game’s narrative, I can’t help but feel that it’s poorly paced. Some moments of the narrative feel rushed and quickly forgotten, whilst others are drawn out so slowly that it feels you aren’t being rewarded for your efforts. One example can be seen when Sammy first goes missing and you go in to the town to collect an item required to go back to the steel mill where she went missing, only for Alex and Michael to mention how they needed to check out the new arcade in the city before returning to the steel mill. This isn’t only a bump in the road for narrative pacing, but it also kind of kills off the feeling of urgency and intrigue that you had up until that moment. I get that you’re both young adults and you want to go to the arcade, but can we not figure out what’s happening to the missing girl first? Although the game has an interesting combat system, it ultimately fails to remain fun and engaging as the game goes on. Battles take far too long, not matter what moves you use, and the damage output never seems quite enough. Yes, you can speed up in battles, and whilst this is appreciated, battles were still far too slow. The lack of variety in attacks also becomes increasingly more obvious as you play through the game, as you can only do the same attack so many times without it becoming repetitive and stale. For example, despite the fact that Alex can obtain different records through the journey, they all have the exact same mini-game. Some variation between new weapons would’ve been great, but sadly the lack of other options leads to the allure of the game’s combat to wear off quicker than it arguably should have. The inventory is also a bit annoying to manage, in part due to the fact that you can’t easily jump between consumable items and weapons. Thankfully you can manage items by types, but as your inventory grows, it becomes increasingly more difficult to track what items you have. Lastly, I also encountered numerous bugs and crashes that varied from minor annoyances to major frustrations. Texture popping and hovering where a bridge had yet to have been built were some of the minor issues, but I also had multiple occasions in which the game just locked up and the only option was to boot the game again, resulting in a loss of progress. One example was when I was told by a character to ‘kill him’, a request I took literally, with my amp exploding him and making him disappear. It just so happened that the next cutscene wouldn’t trigger unless he was around. Another example was when chatting to a character and answering her set of questions. If I got the answers wrong three times in a row, the game would soft lock, making me unable move, as well as eroding more than an hour’s playtime. 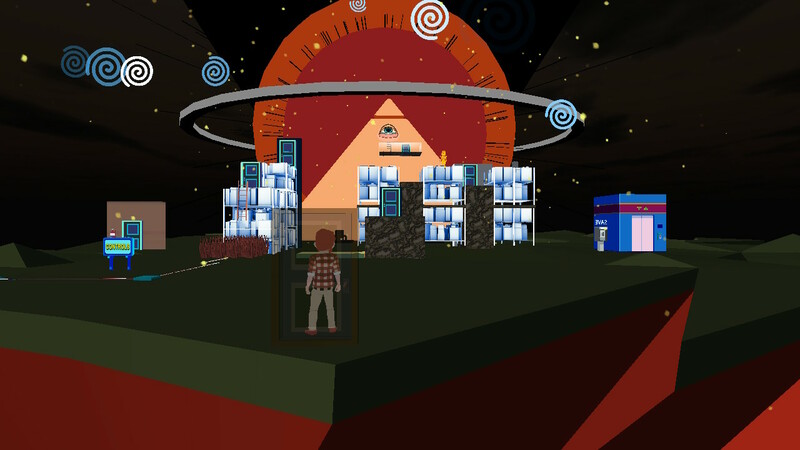 I wanted to love YIIK: A Postmodern RPG, but the weak pacing as well as the shortcomings in its gameplay systems left me frustrated with what seemed like a promising universe with unique and interesting ideas. The 90s references, music and lo-fi art style are all top notch and the well voiced characters grow on you, but at the end of the day, the hit and miss gameplay leaves me feeling like this could’ve been an amazing game had more effort gone into refining the combat. 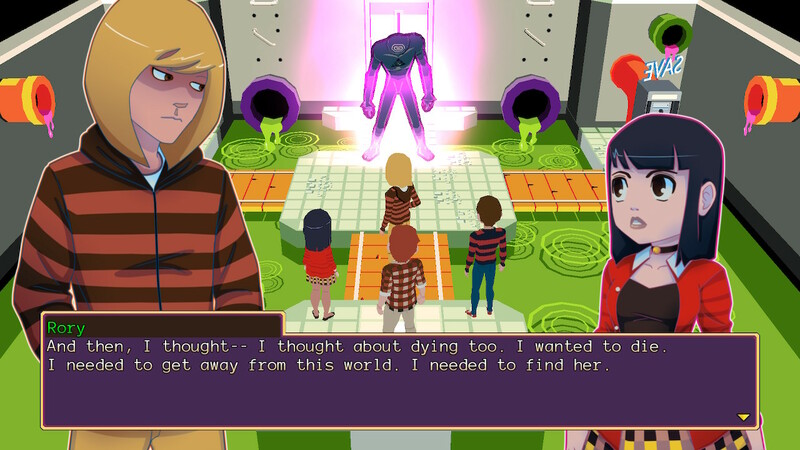 YIIK is ultimately a missed opportunity at something amazing, however you’ll still find yourself an endearing surrealist RPG with wacky combat and a rollercoaster ride of a narrative, you’ll just have to try and ignore its numerous imperfections to get the most out of it.